Create a new wine brand for one the most iconic sports figures on the planet. That's all. Dig deep into what makes up Wayne Gretzky - not just the sports legend alone, but connect all of the many attributes of Wayne's persona into the new brand. His sophisticated business folio. His generosity - giving back to the sports community and under-priviledged kids through his foundation. Then add to that his game-playing style of true sportsmanship, elegance, fluidity. Infuse all of these attributes into the new venture, and this will help the product ring authentic to both sports and wine enthusiasts alike. Let's also not forget this is Canada. This is Ontario (Wayne's birthplace). This is Niagara Peninsula. We're not making old world wines here. Borrow from iconic notions of celebrated new world wine, and infuse Wayne's iconic jersey number into the brand elegantly. Steer clear of over the top hockey imagery, but build it into the identity in subtle ways when possible. The main symbol - feels like a hockey puck? Yep, that's intentional. But the typography carries more of Wayne's elegance than a jersey block letter font ever could. Most wine enthusiasts are skeptical of celebrity brands, and for good reason. Many of them are bad. Only a select few merit the names they bear. And Wayne Gretzky Estate Wines is one of them. Winner of several prestigious international industry awards. Brand strategy, Identity, Positioning, Packaging, Photography, Videography, Digital, etc. 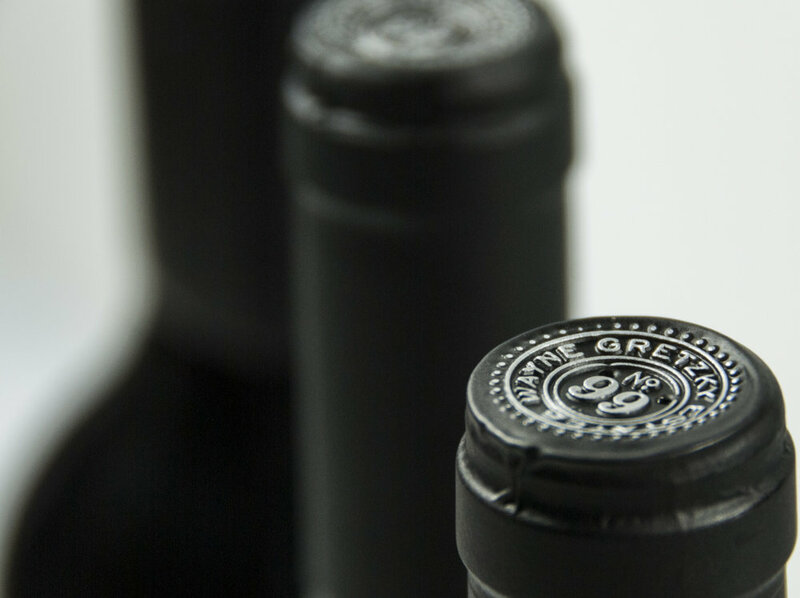 Full conception / creation / launch of Wayne Gretzky's Estate Winery brand.